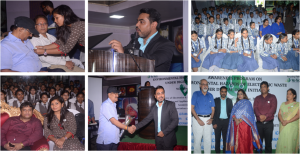 The awareness program is an endeavour to sensitize the teachers, students and parents about e-Waste and the myriad growing environmental impactswhich are direct result ofimproper dumping of such waste. The program educatedabout the distinct steps of recycling and proper disposal of e-Waste at different levels. The program was at Mighlani Celebrations,Moradabad which was attended by a gathering of more than1100 including teachers and students ranging from 5 schools of Moradabad. 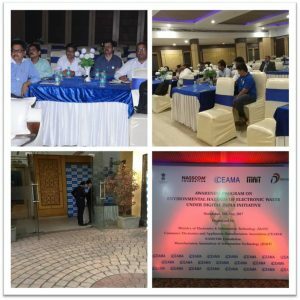 A workshop to create awareness of environmental hazards of electronic waste among electronic and appliance dealers was held at the Hotel Clark, Moradabad on 10th of May 2017. The workshop was conducted by Consumer Electronics and Appliance Manufacturers’ Association (CEAMA), on behalf of Ministry of Electronics and Information Technology. It is a part of a series of initiatives on e-Waste under Digital India.